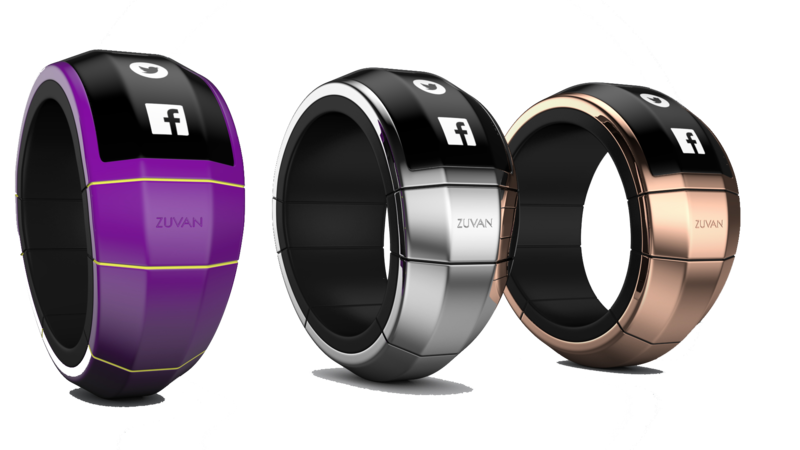 Zuvan Watch & Bracelet offers consumers some excitement in what the device can do. Imagine connectivity to the world of information, the ability to check gas & tire psi levels, current car location and the ability to start your car remotely, along with the option of connecting to the Bluetooth system in your car so you can receive reminders to lock or arm your vehicle or a notification that reminds you not to leave valuables behind. That’s something to stand up and notice. No feeling of “meh” here. The future is up to you: join our community of adventurers. We’re looking to developers with great ideas to inspire and push the limit as to what can be done!. What can you do with reliable authentication, motion sensing, cutting edge sensors, Bluetooth Tethering and proximity detection? Join us in building the ultimate "product of the future". Why not create thoughtful technology to make life more convenient? With this in mind we’ve made it so the Zuvan Smart Watch doubles as a source of power. Charge your other devices, such as smart phone, ipad, etc., on the go. Designed to fit your every occasion, the Zuvan Smart Watch continues with its thoughtfulness. We’ve accounted for the women and men who need something more than just a clunky wristwatch to stay connected. Something with a little more couture that brings style and grace back to technology. The ribbed silicone band provides lightweight comfort for effortless tech savvy and style. 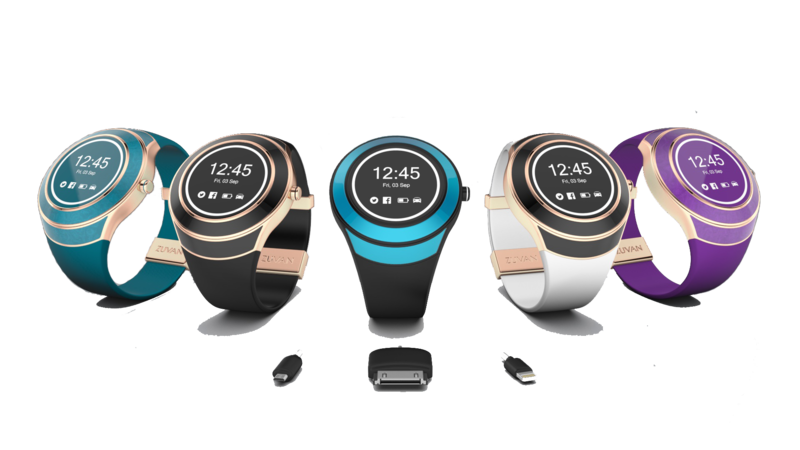 A selection of beautiful colors to customize your Zuvan Smart Watch skin brings exclusivity to the table. 3D accelerometer, magnetometer, ambient light sensor, pedometer, e-compass capable, accelerometer optimizes the functionality of our product and your devices. 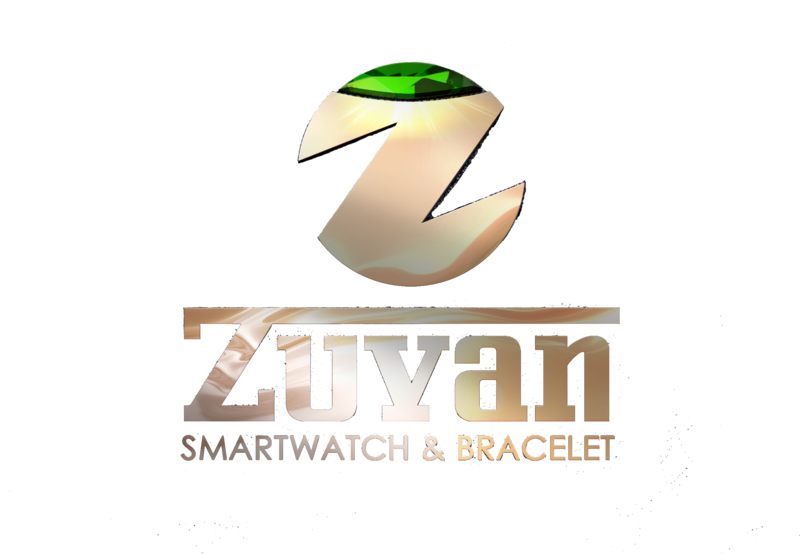 With these cutting edge sensors the Zuvan Smart Watch knows how far away it is from the device it is synched to. Stay close, stay connected, stay cool. We want to hear from you! Send us your comments or interact with fellow members. "A unique name for a unique product. And when you wear it, no doubt you’ll feel just as special. I love mine!" Designed and developed by Zuvan Technologies, Inc.